Are you trying to stay on track with that new diet you’re on, but you have a business trip, and the thought of running the food court gauntlet without getting tripped up by some tempting food has you considering quitting? Do you have a dietary restriction that makes finding allergen-free food in the airport next to impossible? Have you considered packing some snacks or meals to eat while you fly? You can take food through the TSA security checkpoints, you just have to know what food falls under its liquid restrictions — the 3-1-1 rule —and pack accordingly. 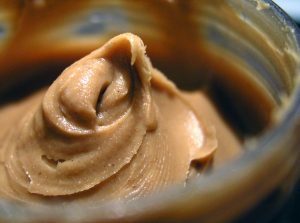 Although water bottles or other beverages must not exceed 3.4 ounces, don’t automatically assume you can’t bring items such as packets of nut butters or salad dressing. Just be sure the amount you’re bringing through security is less than 3.4 ounces/100ml. The liquid restrictions also apply to ice and gel packs as well, so be sure to time your arrival at the airport so those frozen food products are still frozen solid. That means you can’t bring more than 3.4 ounces of these items through security. You can see the complete list here. Other foods you prepare at home, such as sandwiches, salads, and snacks, do not have to adhere to the same restrictions as liquids, as long as there’s nothing too liquid or gel-like in them. For those who are serious about meal prep and frequent travelers, there are some totes designed to keep food cold during travel. You don’t have to lose the battle of the bulge or resign yourself to getting sick from accidental allergen exposure because you’re flying. With a little knowledge and some planning, you can stay healthy while work takes you to the skies. Do you travel with your own food? How do you make sure you’re staying healthy or avoiding problems on the road? Share your ideas in the comments below, on our Facebook page, or in our Twitter stream.